This 2 day course provides an opportunity for youngsters, usually aged 7-15 years, to get a first taste of sailing. As well as gaining confidence and learning to sail under carefully controlled and safe conditions, they make many new friends. Most first time participants will achieve an RYA Stage 1 certificate; with the more experienced working towards achieving RYA Stage 2. 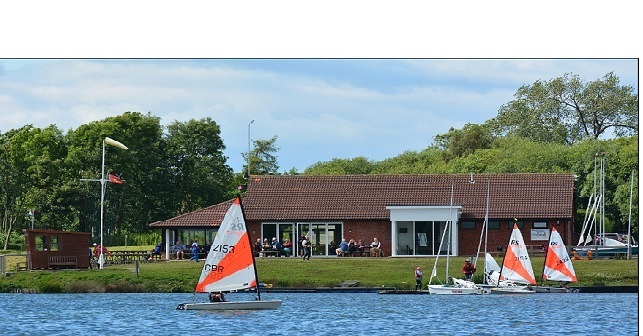 The course is in Optimist, Tera and Topper dinghies that are supplied by the club, or in your child's own boat (has to be one of these classes). This 3 day course is for children who have completed RYA Stage 1 and some or all of Stage 2. The usual age range is 7 - 15. However, any juniors who have their Stage 1 award and have since attended at least 3 club improver sessions may be confident enough to join this course. Pre-requisites are that they should be able to set off from and return to the jetties and be able to sail a shallow triangle. This course is similar in standard to the Adult Level 2 but the teaching style is aimed more towards youngsters. 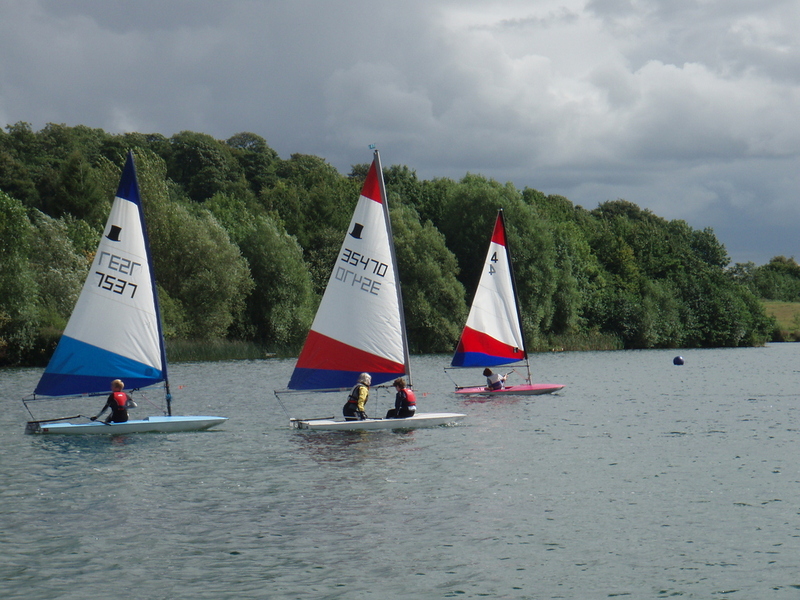 At the end of the course the youngster should be able to rig and launch a dinghy and sail to any point of the lake and return to the jetties independently. This 3 day course is for children who have completed RYA Stage 3, or for teenagers who have gained Level 2 or equivalent. It offers a practical introduction to racing including how to make the boat go faster, how to start and finish a race, how to get around the course (tactics and avoiding collisions). With three consecutive days of sailing, we normally see a huge improvement in skills and confidence. Do you fancy the thrill of speed? This course will give you what you need to know about sailing with an asymmetric spinnaker in our RS Visions, Feva or Comet dinghies. It includes how to rig, hoist and drop, gybe and sailing the best course downwind. Great fun. It's a 3 day course and suitable for ages 12+ (no upper limit so you can bring Mum, Dad, Grandma or Grandpa along). If we have enough wind be prepared to get wet! Please note that it is club policy that when Juniors under 16 are attending Ripon SC courses they are required to have a responsible adult on site for the duration of the course.